Hope your summer is going well. It’s hot and long days here but also enjoying the non-rushed mornings to get the day going. Something that happens in the journey of intuitive eating is reaching one or many points where you don’t really know what you want to eat. If we think about it, of course this is going to happen. We may have spent decades ONLY listening to our heads about what to eat, never considering our appetites, whether we wanted something hot, cold, wet, dry, spicy, sweet, savory, dense or fresh. Sometime we ate the very opposite of what we wanted. 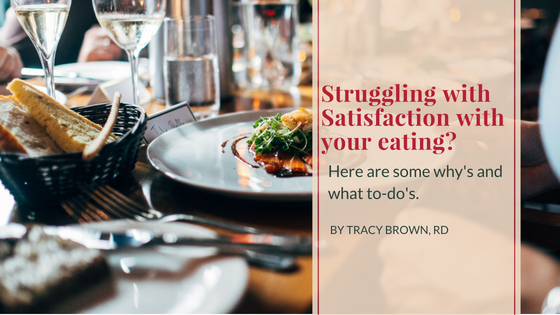 So it takes some time and LOTS of experimentation, wasting a little food, changing our minds, getting bored or just guessing until we build a strong RELATIONSHIP and knowing of who we are as eaters, not restrictors or bingers. Here is a popular video I did last week about this topic. My webinar where I go into depth about how what is going on on your plate and with your food choices mirrors what is up externally and internally in your life. If you did not sign up or catch the replay, enjoy it NOW! As always, I hope to hear from you, answer your questions and make the process of coming home to your body faster and with more care. PreviousHow Do I Wrap My Mind Around Health at Every Size? NextDrop the Expectations and be Attuned to the life you have!